There are times when I wish with all my exhausted being that Hong Kong was a bit nearer…sort of like the Isle of Man really. But it is probably just as well that it isn’t, because if I could just pop to the wholesalers every few days Pearlescence would probably be bankrupt within the week. It’s so easy to buy pearls. You just say ‘yes’ and hand over money. We had a great time. Hard work for many hours but there were pearls. There were friends and there was round the world food. Hong Kong takes its food very seriously. There are a myriad of great places to eat, with examples of every cuisine within a few streets where ever you are. We had Thai, Vietnamese, Chinese (of course) and Nepalese. So, what about those pearls. Quality is advancing by the month, but at the same time production is down and prices are consequently up. 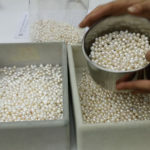 Throw in the drop in value of the £ against the USA $ and the Hong Kong $ and I have brought back a stash of stunning metallic pearls in all sorts of shapes and sizes, but the sadness is that prices must creep upward. When I first went to Hong Kong the HK$ exchange rate was 14HK$ to the £. 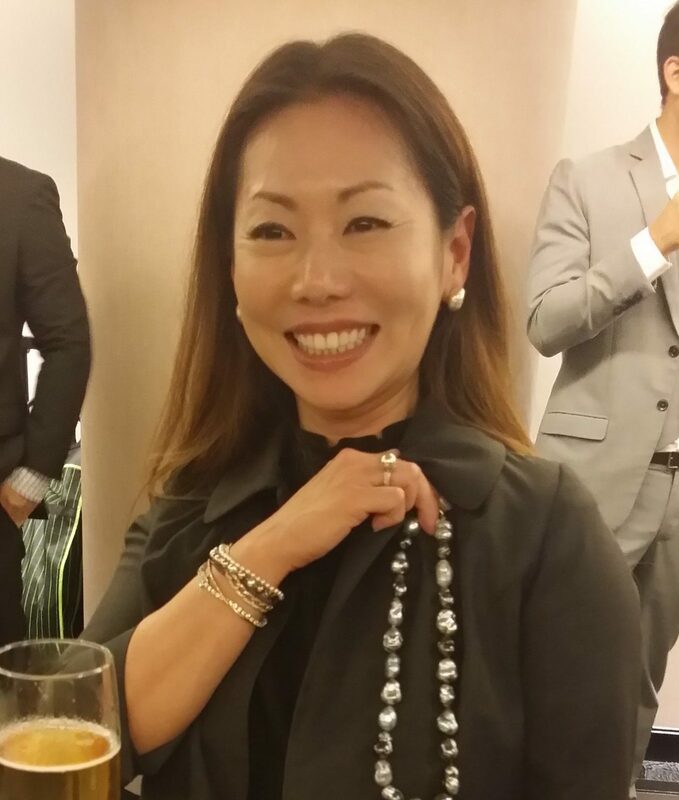 Now it is 10.
watching the President of the Hong Kong Pearl Association, Michael Sze, putting strands together from bags of loose pearls and clearly enjoying himself. 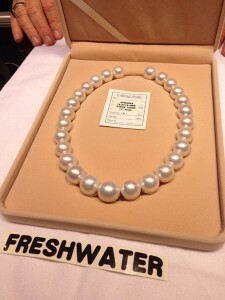 Michael’s company is probably the supplier of the best quality freshwater pearls (no, not Grace) and he’s been in the pearl business well over 20 years but was still clearly enjoying himself putting strands together to take to the show which started in a couple of days. I spend a couple of days there, sitting opposite him for much of the second day as he made strands..watching and learning. 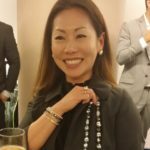 Catching up with Hisano Shepherd, of little h, and her strand of (souffle though they are not souffle) Tahitian pearls. These Tahitian pearls look like freshwater souffles and are as big and as lustrous but the growing method to force the rapid growth and large size and different. Hisano and husband Jeremy Shepherd found this strand in Tahiti when there recently. 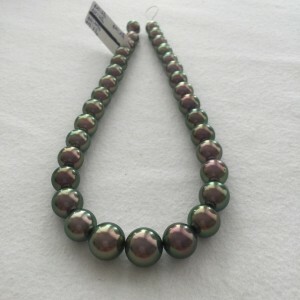 There were a few loose similar pearls on sale at the show from one seller, but the prices were very high. Betty Sue King has taken a few to be assessed and investigated by the GIA. 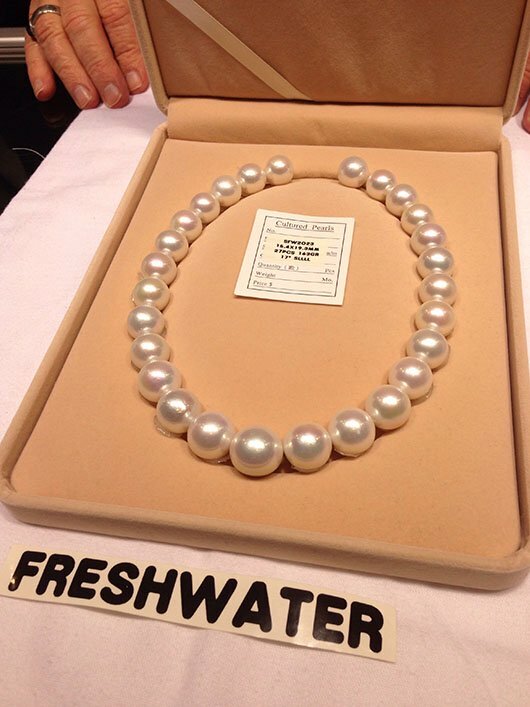 Selling these enormous pearls has only been possible in the last few months since the legal requirement of a certain depth of nacre over the nucleus for export has been abandoned. These pearls would fail and not be exportable as they have no solid nucleus. I’ve seen similar growing efforts with south sea pearls, although weirdly, some of them also have a regular nucleus. Farmers are clearly experimenting. 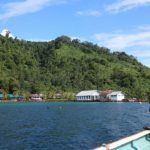 These will be exciting pearls, and indications are that once they start appearing in numbers in the market the prices will be affordable. 4 what is that noise? The first show I went to had this clatter clatter shake noise echoing round the hall occasionally. I didn’t work out what it was. It was only at my second show I managed to catch noise and action together. Pearls being sieved. 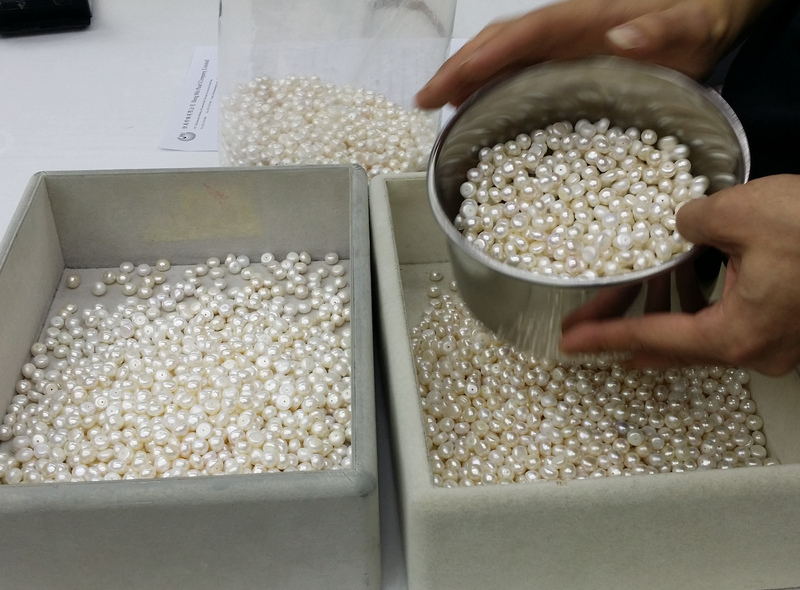 Pearls are sieved to sort them into sizes. The noise is distinctive and now, when you get to attend the Hong Kong show you’ll know exactly what it is first time! This entry was posted in Pearlescencery and tagged hisano, hisano shepherd, little h, souffle, tahitian on September 23, 2017 by WendyG.